I once gave a lecture at the University of Orlais on the conflict between fact and belief. This portion of my lecture was excerpted in a recent encyclopedia entitled The World of Thedas. The author of this text is unnamed, and prefers it that way. But I know him. I have studied with him. And I can speak to his obsession with detail and objectivity, the latter being something with which I sometimes struggle. But, as I said in Val Royeaux, ours is a large, complicated world. It is perhaps inevitable that a few errors survive numerous readings and are then committed to print. Page 12: The main text states that the First Blight lasted one hundred years. Most authorities agree that it was fought for 192 years. The timeline in the tome is correct. Page 12: The timeline states that the Old Gods whispered to humanity from the Black City in -2800 Ancient. At this time, the legendary city would still be known as “The Golden City,” as it was not yet sullied by the presence of men. Page 42: The term “ralshokra,” said to be a Qunari military challenge where the higher ranks are fought for and defended to the death, is not a Qunari term at all. Its use can be traced back to the Storm Age, first appearing in a popular Orlesian children’s story meant to demonize the invading race. There’s no evidence that any Qunari actually participate in something so barbaric. Page 126: The timeline also states that in 8:45 Blessed, the Fereldan nobility continued a “guerrilla war against the occupying Orlesians, led by Brandel’s daughter Moira.” While the Rebel Queen Moira did eventually lead the war, she was born after 8:45 Blessed. Page 136: The timeline puts Celene’s birth at 9:6 and her ascension at 9:20, making her, according to the timeline, fourteen when she became empress. However, the main text says she was sixteen when she took the throne. By all accounts, the main text is correct. Celene was born in 9:4 Dragon. 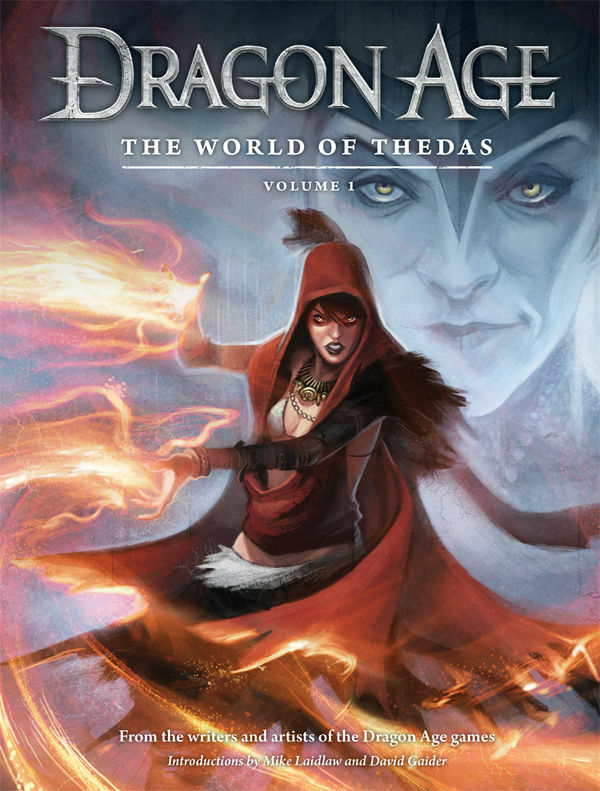 Page 141: There are rumors in some circles of an intelligent darkspawn known as the Architect, who attempted to unearth and kill the remaining Old Gods and taint the entire surface world. Though the timeline says 9:14 Dragon, most reliable sources state these events actually occurred in 9:10 Dragon. Page 146: The timeline states that Bhelen Aeducan was the middle child of King Endrin Aeducan. He was actually King Endrin’s youngest child. Page 157: The main text says that the darkspawn sacked Minrathous in 1:31 Divine. While it is true that Minrathous nearly fell during the Second Blight, the infamous heart of the Imperium has never actually been taken. This is stated elsewhere in the book. Page 177: The “First Warden” is the leader of the Grey Wardens at Weisshaupt. The glossary incorrectly states that he is the “Commander of the Grey.” I’m not sure what my peer was drinking when he wrote this one. With these corrections, perhaps the record has now been set straight. I hope you have found the tome as enlightening as I have. Previous Previous post: BioWare Field Trip in Montreal!